I have always loved photography. It's not just a hobby, it's truly passion. When I was 12-years-old, my mother gave me my first camera -- a Kodak Pocket Instamatic Camera with 110 film cartridges and Magicube flash bulbs. It wasn’t much bigger than our cell phones today. I was fascinated by Ansel Adams and Annie Liebovitz’s photography and their ability to take something ordinary and, with the right lighting and setting, turn it into a breath-taking image. Over the years, I taught myself, took some classes and learned how to take beautiful pictures of people and places, always learning and always improving. As a journalism major, I worked on the yearbook staff as a writer and used my mad photography skills to eventually become the managing editor and head photographer. After college, I pursued public relations and journalism featuring musical artists while taking publicity and event photos. I put my camera down for a long break to get married to my husband, Wendell, in 1991, build a marketing communications business and have two kids. Then, my husband bought me my dream camera – a Nikon camera! I was back behind the camera again and loving it! Fast forward to 2011 when life’s twists and turns brought me to officially open my photography business as Gateway PhotoArtistry (changed to Gena Ford Photography in 2019) taking senior and family portraits, sports and performance, head shots and event photography. See my work in the Photo Galleries. Whatever the format or the story, I like to stretch myself creatively and technologically to capture people’s life stories in my signature approach to photography with color, flair and drama. Check out what people have said about my work at my Testimonials. page. When I'm not photographing, I look forward to spending time with my husband, Wendell, and my two adult children. I love gardening, hiking, skiing, exercising and traveling. I love history and old architecture. Oh, and I'm a certified personal trainer. Enough reading...it's time to book your photo session with me. Go to Contact, and let's start creating! Gena Ford Photography (formerly known as Gateway PhotoArtistry). 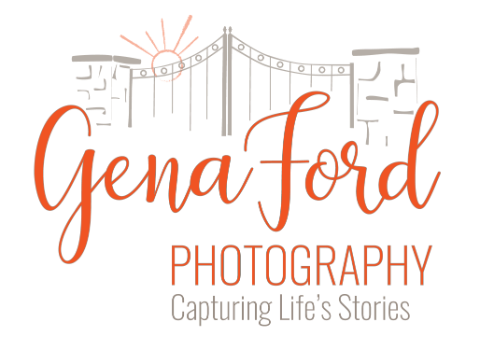 Interested in becoming a Senior Model Ambassador for Gena Ford Photography? It comes with perks and benefits, apply by clicking below. I'm so glad you stopped by to check out my website and find out more about me. If you think I'll be a good match for you as a photographer, please send me a message and let's start creating!